I have written before about binding, erroneous arbitration awards and how arbitration awards are unappealable. I’ve also written about whether the trustee or the trustee is the party, the issue that disappointed a recent plaintiff. This plaintiff, Portico Management Group, entered a real estate purchase contract to buy an apartment building in Carmichael, CA owned by the trustees of the HC Trust and a partnership. One of the selling parties refused to sign the deed and closing documents, and the buyer sued, correctly naming the trustees of the trust as defendants. The purchase contract required arbitration, so the court ordered the case to arbitration. The arbitration resulted in an arbitration award of more than $1.6 million to the plaintiff. 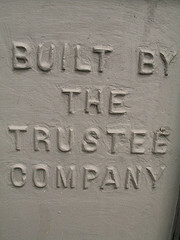 The arbitration award, however, was not against the trustees, but against the trust itself, and the partnership. The arbitrator found that the trustees “are not personally liable for their acts as trustees.” Anyone in such a situation should consult an experienced Sacramento and Carmichael real estate litigation attorney, because this is where the problem arose. The plaintiff went back to court and got a judgment confirming the arbitration award and tried to collect against the trust. They got nowhere because a trust is not an entity and therefore could not hold title to any property; the judgment was unenforceable. The buyer then went back to court to amend the judgment, but failed. The court ruled that, though the arbitrator made a mistake, the arbitrator’s decision was not subject to review. The plaintiff argued that the arbitrator was free to ignore trust law, as they have broad discretion. But the court said that here, the issue was the legal effect of a not an arbitrator’s award, but the judgment. A judgment against a trust, and not the trustees, is not enforceable. The plaintiff had other options to fix the problem along the way. They could have applied to the arbitrator to correct the award, but the arbitrator would not be obligated to do so. They could have petitioned the court to correct the award, but the court said it could not correct the arbitrators award so it may not have done so. 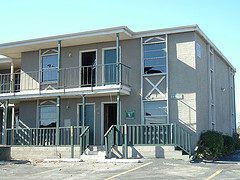 The lawsuit was first filed in 2003, and the decision on appeal came in December 2011, over eight years later. The first pleading objecting to the judgment due to failure to name the trustees was filed in 2007, 4 years after they started. Is arbitration a faster, easier, less expensive procedure? This arbitrator proved it is not.